Danny earned his BSE and MSE in Aerospace Engineering from the University of Michigan. In his senior year of undergrad, Danny started a student project group to research and develop autonomous unmanned aerial vehicles, or more commonly known today as drones. This project continued through his Master’s research when he and his co-founder Tom decided to join the University of Michigan accelerator program, TechArb. This is when SkySpecs was born. 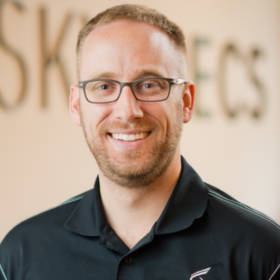 Over the course of the next 5 years, SkySpecs would go on to win multiple business competitions, completed an SBIR with the National Science Foundation, join a Techstars Accelerator in New York City, raise two rounds of funding, and launch their autonomous infrastructure inspection drones through North America and Europe. Along the way, Danny has been recognized as a leading entrepreneur, receiving the 2014 Detroit Crain’s “20 in their 20’s” award and the 2016 Forbes “30 under 30” award. Danny is a regular mentor to other entrepreneurs both at the University of Michigan and through the Techstars program. At SkySpecs, Danny focuses on fundraising, sales, customer acquisition, strategic planning, and partnerships. When he is not at work, Danny enjoys hanging out with his wife and two goldendoodles and playing a few rounds of golf when the weather is nice. In December 2017, Danny was selected to be an Endeavor Entrepreneur alongside his cofounder Tom.